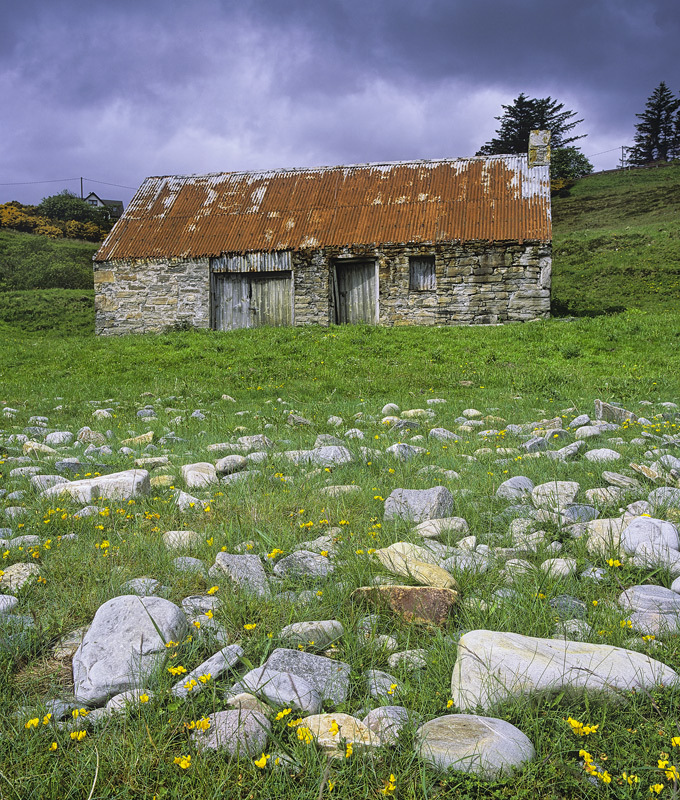 This tiny red rust roofed stone bothy by Talmine bay in Sutherland near the Tongue estuary is incredibly awkward to photograph without at least some traces of modernity appearing in the shot. this is the best I could do and I think manages it to an acceptable degree. I got down very low to include the rocks in the foreground and Birdsfoot Trefoil summer flowers and used the stones to step toward the old ruin. I was lucky to have such a moody sky which promptly unleashed fat rain drops moments later.